Readers of this blog will be well aware that I am a huge fan of Three UK's MiFi range. MiFi is a series of portable wireless router that you can use to connect multiple devices via a single data connection. The MiFi is an effective and economical way of accessing the internet if you, like me, own multiple gadgets - including portable gaming consoles, tablets and smartphones. I have been using the current Three MiFi v2 (Huawei E585) for some time now and have never left home without one. 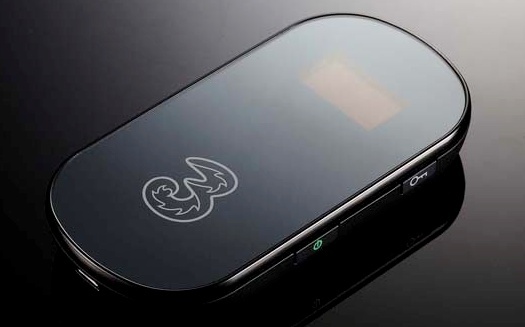 Well it is August, and Three UK has finally announced a new version of the MiFi, to be released in September. Like with previous MiFis, Three has opted to stay with Huawei. The Huawei E586 will offer some improvements over the E858, including support for HSPA+ technology. This means speeds of up to 21.1 Mbps HSDPA and 5.76 Mbps HSUPA. Three UK are currently in the process of rolling out HSPA+ upgrade on its network mast, so this new MiFi couldn't have come sooner. Like the MiFi v2, a microSDHC card slot can be found. This will allow you to turn the MiFi into a USB storage. It will also feature a OLED screen, where useful information such as signal strength, number of connected devices and data consumption will be displayed. While no price has been announced yet, Three has confirmed that the new MiFi will come with a lovely new cradle charger which cements my suspicion that they may be marketing the MiFi as not only a portable wireless router but a complete home broadband replacement. A MiFi v3 with ACYE price plan will surely seal the deal.